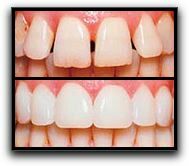 A great breakthrough in cosmetic dentistry is porcelain veneers. Thousands of Provo and Orem smile restoration clients have received traditional porcelain veneers and are happy with the results. One of the many dental services Hammond Aesthetic & General Dentistry provides is porcelain veneers. Porcelain veneers are a very thin, custom-made porcelain molding made to fit on the front of the tooth. To create a fabulous smile, each veneer is bonded to the front of a tooth. They cover gaps and mask crooked or misshaped teeth. Each custom porcelain veneer is made with the optimum shape, color and thickness for your new smile. If you are embarrassed by misaligned, discolored or broken teeth, porcelain veneers may be a smile restoration solution that you can feel good about. 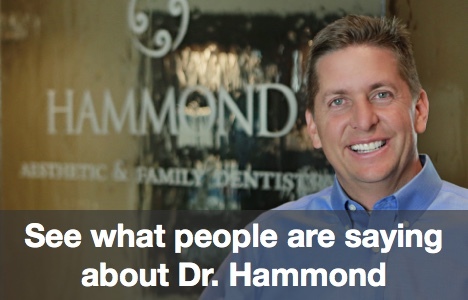 Call Hammond Aesthetic & General Dentistry to learn more about dental veneers. It is the first step toward your dazzling new smile!